To be eligible for these truck driving jobs, most employers require their drivers to have a high school diploma or GED, followed by completion of a professional truck driver training course from a certified truck driving school or through a local community college. These programs usually take no more than six months to complete, with students learning not only how to drive trucks but also about the various laws and regulations regarding truck driving. Upon finishing the program, students are issued a certificate showing their completion of the course. Many schools also offer job placement services for students, helping them secure employment shortly upon gaining their Class A CDL. Get more home time with this 95% no tarp flatbed opportunity! Drivers on this account haul shingles within a 250 mile radius, 1 3 loads per day. In today's economy, many people assume the best jobs are ones requiring technical knowledge that can only be earned through many years of college study. However, some of the best-paying and fastest-growing jobs instead require only a few months of training. Truck driving, in particular Class A truck driving jobs, are plentiful for those people who love the idea of being on the open road and traveling the country, helping to deliver various products and materials. When it comes time to find Class A truck driving jobs, there are many avenues available for drivers. Employment in this field is heavily influenced by the state of the national economy, so during times of prosperity more truck drivers are needed to deliver goods and materials to stores, manufacturers and other businesses. As stated earlier, many truck driving schools will help students with job placement. In most cases, these training programs have formed partnerships with various trucking companies to provide them with a pool of drivers from which to choose. The schools often have job fairs, or the employers themselves will have job fairs to give students the chance to apply for jobs and speak with management to learn about the career possibilities. Truck drivers can also use the internet to look for jobs. Various job boards such as TruckDrivingJobs.com have multiple listings for truck driving jobs. Upon getting hired by a company, new drivers are usually paired with a more experienced driver for up to three months of on-the-job training. This gives new drivers the chance to learn more about the company, the type of truck they will drive and the materials they will be hauling. For those drivers who will be hauling hazardous materials, they will need to get a HAZMAT certification. This certification usually involve passing a written exam and a driving test, and is generally paid for by the employer. 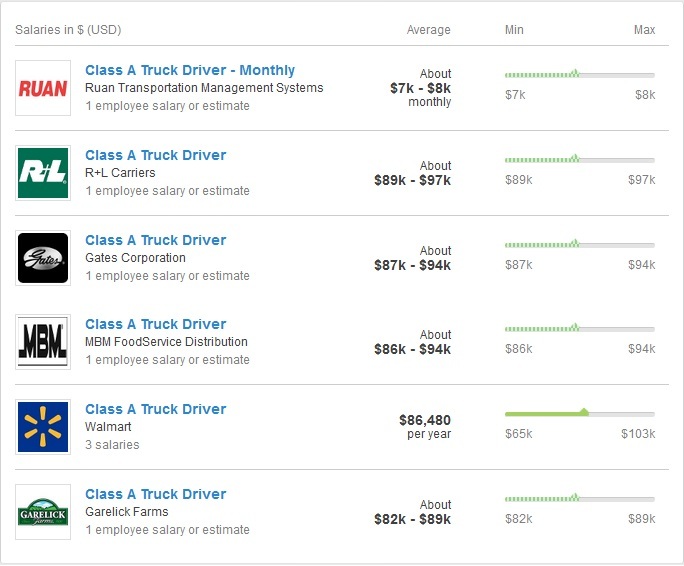 Class A truck driving jobs offer average annual salaries approaching $40,000 and many other perks. For those who like to travel and see different parts of the country, they can find jobs as long-haul drivers. If a driver has a family and wants to be home daily, they can usually find employment which involves driving local routes on a more traditional 9-5 schedule. Some drivers choose to become independent contractors, running their own trucking business while hauling freight for many different companies. 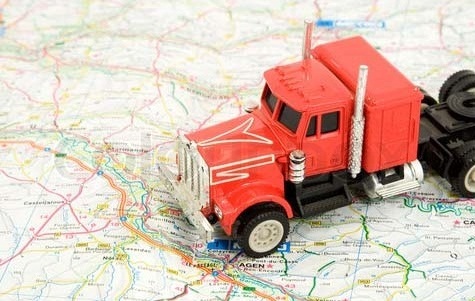 However, when taxes increase and gas prices begin to rise, independent contractors often have difficulty maintaining their business, so the majority of drivers choose instead to be employees of trucking companies. The top paying companies for this year are Ruan Transportation, R+L Carriers, Gates Corporation, MBM FoodService Distribution, Walmart, and Garelick Farms.